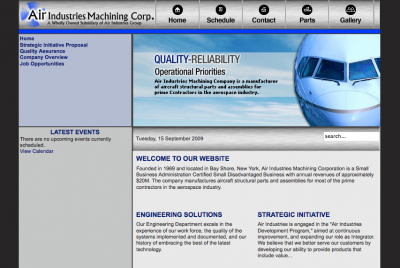 Air Industries Machining Corp manufactures aircraft structural parts and assemblies for most of the prime contractors in the aerospace industry. Joomla! 1.0, Forms, Events Calendar, Gallery and more.